Tank Carrier helps divers who are less than 6’3’’ (190.5 cm) for transporting cylinders. If you’re tall, carrying a cylinder by the valve is no problem! This product is absolutely essential for comfort when it comes to transport. 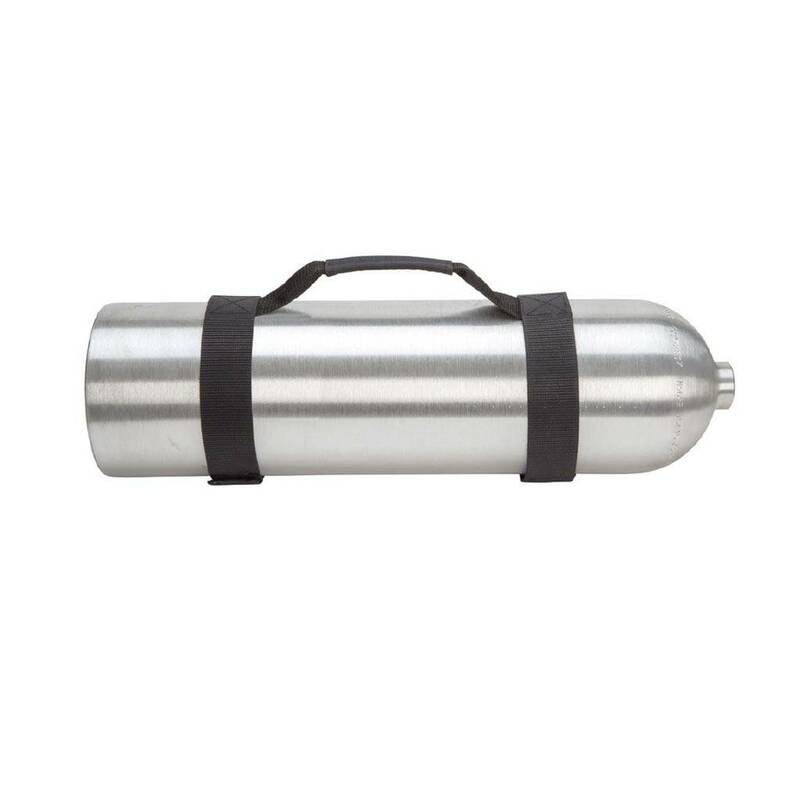 The Tank Carrier fits 6.9’’ to 8.0’’ (17.5 to 20.3 cm) diameter cylinders, and is equipped with 2’’ (5.1 cm) nylon webbing straps with hook and loop fastener and a sturdy and padded carry handle.